Some member of our team were in Pasadena last week (at the lovely Huntington Gardens!) 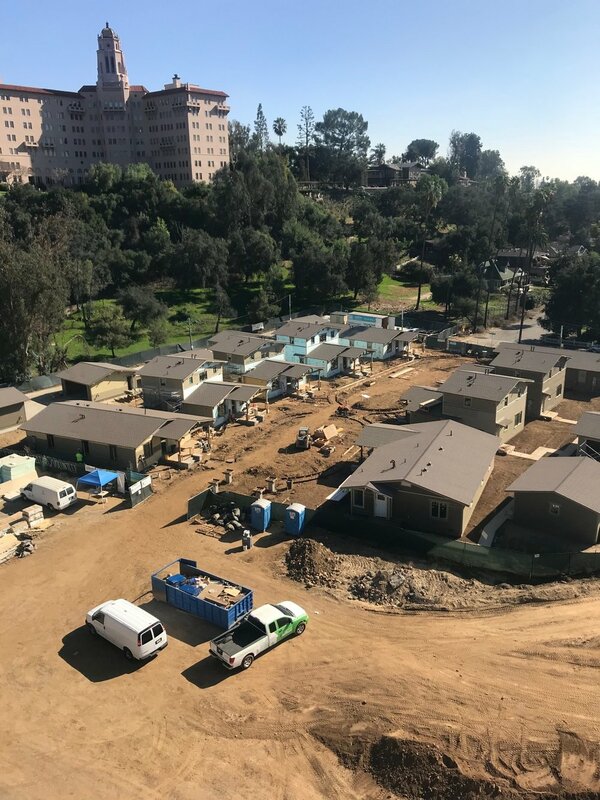 for meetings on another project and we wanted to share some progress photos from the Desiderio Homes construction site. Things are coming along! We also thought we'd take the opportunity to share a little of the history surrounding the site. Both photos are taken from the Colorado Street Bridge, built in 1912, which lends a truly lovely backdrop to the site. 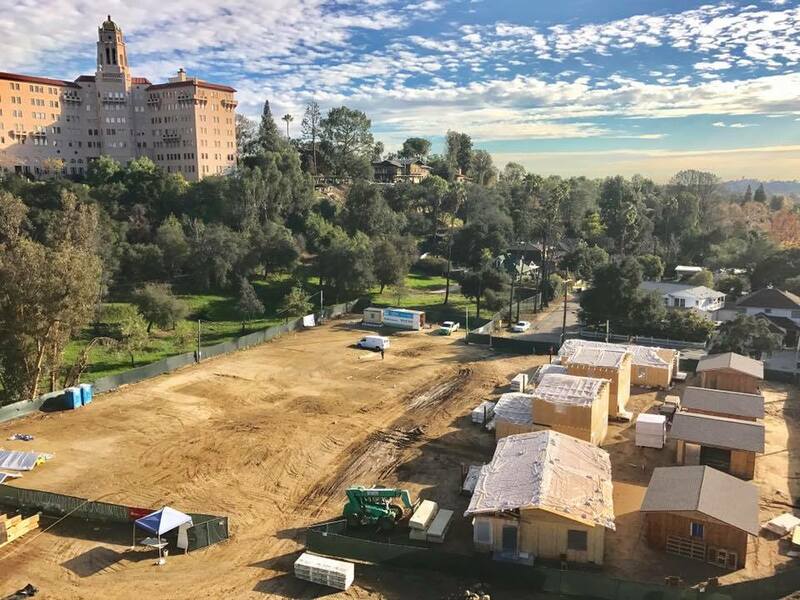 In the second photo, you can see the historic Vista del Arroyo Hotel building, which is another beautiful complement dating back to 1920-1930. During WWII, it became the McCornack General Hospital, later becoming Federal offices, and is now the Richard H. Chambers United States Court of Appeals. Much of Pasadena is beautiful, but the eight families who inhabit the project will have some pretty amazing architecture in their backyards. Looking down the main project axis. 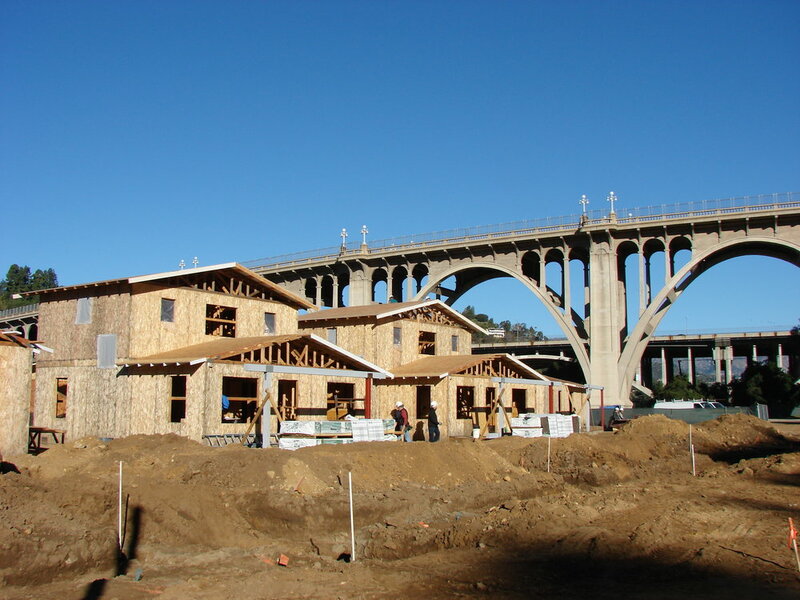 on the Desiderio Homes at the foot of the Colorado Street Bridge in Pasadena, California. 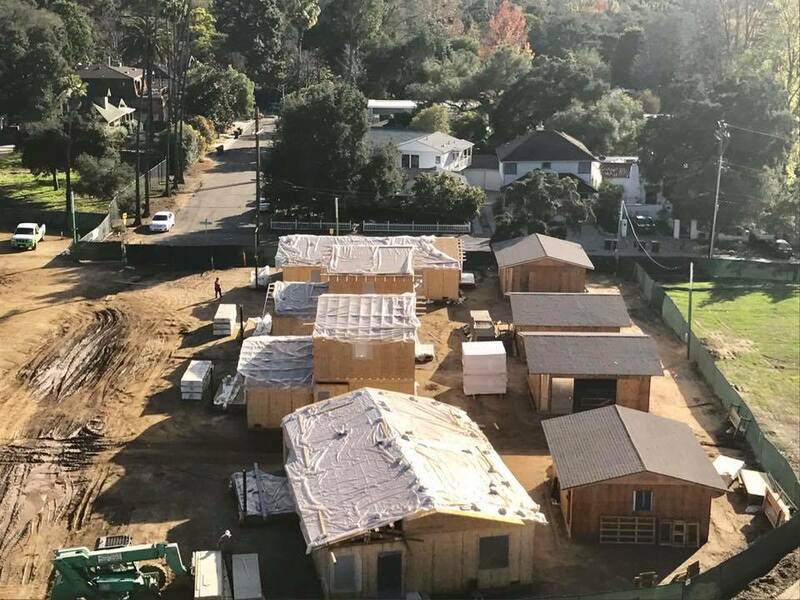 With four homes nearly fully framed, and permits pulled for the remaining five, we're excited to see the community coming together to realize this project. 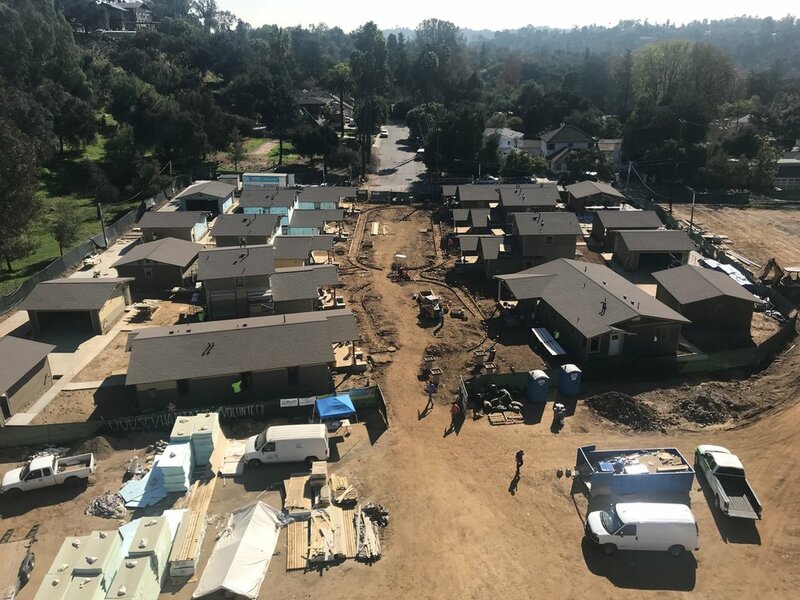 For more information on the project, please check out our project page here, or visit the San Gabriel Valley Habitat for Humanity page to donate or volunteer.